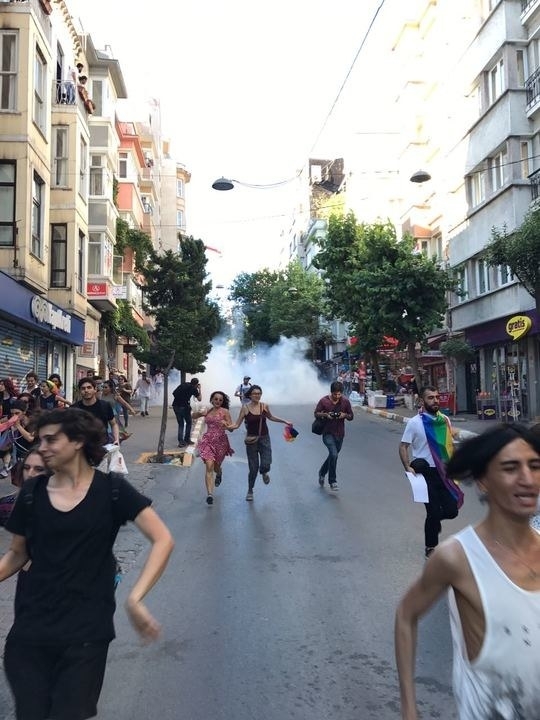 Police in Istanbul, Turkey, are using plastic bullets, dogs, and some type of smoke to disperse people trying to gather for the city's annual pride parade, organizers told BuzzFeed News. The parade was slated to begin at 5 p.m. local time—an hour later, organizers released a statement saying police were preventing them from gathering and marching. 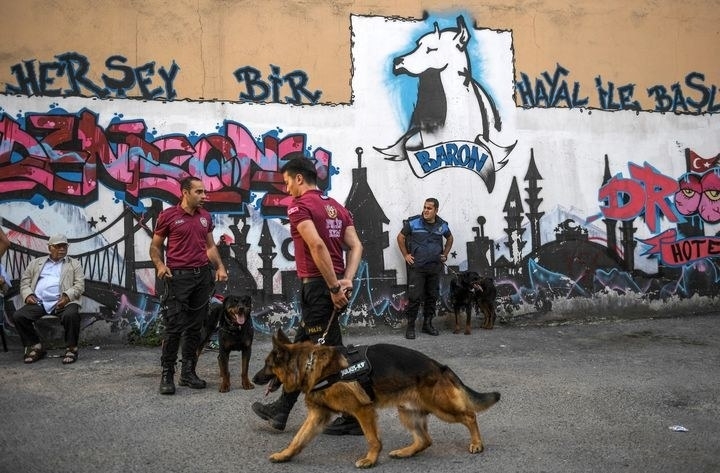 The parade was banned by Istanbul's city governor, which said in a statement the parade was not permitted because of safety and “public order” concerns. “Additionally, it’s also seen that there are very serious reactions against this call by different segments of society on social media platforms,” the statement read. Organizers say the parade is being prevented because of pressures from Islamist groups, and that it's a violation of their civil rights. “Because of the government's phobia against LGBTI+ individuals, they are using the feast as an excuse to ban our democratic rights for marching,” said Lara Ozlen, an organizer with Istanbul Pride. “People cannot gather. Police is attacking,” said Ozlen. 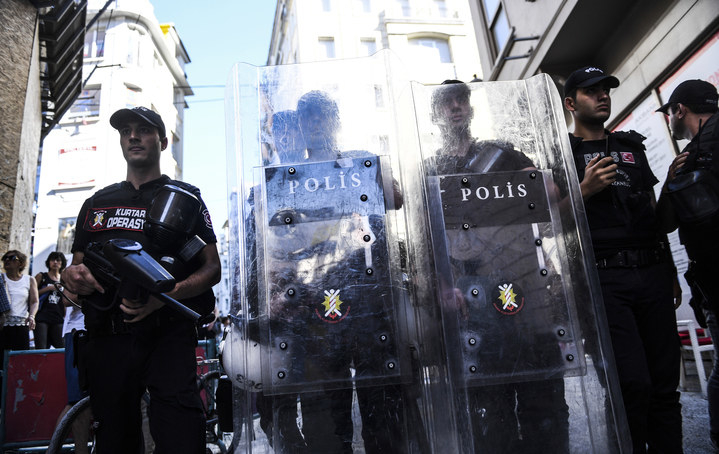 Activists tried to gather first in Taksim Square, which was cordoned off for Eid celebrations, and then along İstiklal Avenue, one of the city's main thoroughfares. Ozlen said organizers have confirmed that at least ten people were arrested while trying to gather for Pride—it's unclear if they were charged with any specific crime.